The ITER Research Plan is an ITER baseline document which outlines the main lines of science and technology research derived from the project's mission goals. About 25 leading physics experts from the Domestic Agencies and Members' fusion research centres and universities joined experts from the ITER Organization in a four-day workshop. It was initially developed during the ITER Design Review in 2007-2008 in order to analyze the experimental program towards high-fusion-gain deuterium-tritium operation. It was further elaborated in subsequent years to identify the main lines of physics R&D required to support the preparations for ITER operation, as well as to incorporate the main elements of the testing program for the test blanket modules (TBMs), which will provide the first tests of tritium breeding technology in the fusion environment. Eventually, the ITER Research Plan will be expanded to encompass all of the science and technology research required to meet ITER's overall goal of demonstrating the scientific and technical feasibility of exploiting magnetic confinement fusion for the production of energy for peaceful purposes. 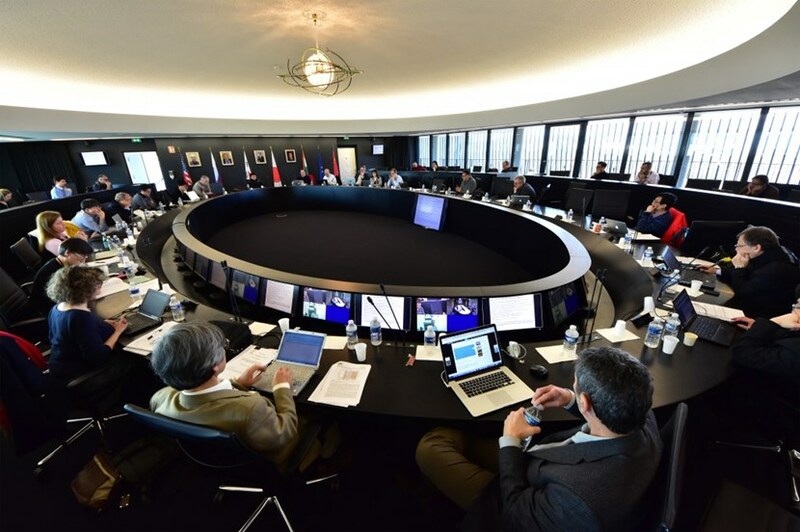 With the acceptance of the revised ITER baseline cost (ad referendum) and schedule by the ITER Council in November 2016, a study has been launched to bring major elements of the Research Plan up to date and to adapt the overall plan to the framework of the staged approach. In the staged approach to assembling ITER, assembly phases will alternate with periods of operation as a way to minimize risk. A preliminary workshop was held in July 2016 involving fusion science experts from the ITER Member communities and ITER Organization/Domestic Agency staff. The result was an initial analysis of the Research Plan within the staged approach. Last week, many of the same experts met at the ITER Organization's Headquarters to develop the Research Plan in greater detail and to integrate an updated analysis of the TBM testing program. About 25 leading physics experts from the Domestic Agencies and the Members' fusion research centres and universities joined experts from the ITER Organization in a four-day workshop which analyzed the phases of ITER experimental operation leading to long-pulse, high fusion power production. Experts from ITER and the Members' test blanket module teams worked in parallel to adapt the test blanket module testing program to the staged approach. The output from these activities will now be integrated into an overall framework for the revised Research Plan, and the scientists and engineers will get together again in March to begin drafting the updated document, which will form the basis for research and operations planning in the coming years as preparations towards First Plasma gather momentum.